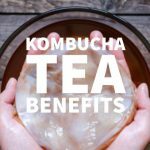 Today you will discover the best herbal tea for gas and bloating. I’m sure you know bloating is an unpleasant, tight feeling in the stomach and intestines. Diet plays a key role in controlling health issues like bloating. As per studies, certain herbal remedies can be very effective in treating health problems. Like the excessive production of stomach acid. Many people experience excessive gas in the stomach and bloated feeling. This can be as a result of anxiety, stress, food allergies, constipation or even poor eating habits. Many people experience bloating when they feel some pain in the abdominal area. Along with this are symptoms like nausea, difficulty in burping or releasing gas, generally full on the stomach and even vomiting. There is extreme discomfort if the person experiences bloating for a prolonged time. 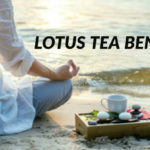 That is why most people are advised to take herbal tea to relieve them of the pain as well as eliminate the causes of bloating. 10 Herbal Teas to Help Stomach Bloating and Gas. 1 10 Herbal Teas to Help Stomach Bloating and Gas. 1.11 Other Herbal Teas for Gas and Bloating. Herbal Tea is something which we can share with friends and family. Herbal is perfect tea for making you feel more fresh and enjoyable with every moment. 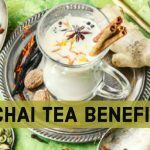 This natural drink is one of the best beverages for great taste but also has many benefits for your health. Herbal tea is not made from normal tea as such, but it’s made from a certain kinds of plants. It’s a combination of seeds, leaves, bark, and roots extracted in hot water. A well-steeped herbal beverage helps in the digestion of food properly in our body. There are various collections of these herbal teas. That you can consumed to clear the symptoms of abdominal gas and bloating. Below I discuss the best 10 of these herbal teas for gas and bloating. Fennel tea is herbal tea remedy that’s been used for centuries. The Fennel plant produces fennel seeds that brew up a tasty like licorice herbal tea. Drinking this tea is a feeling for the mind and spirit. The oil found in fennel seeds. Helps to decrease intestinal cramping and boost the speed at which the small intestine moves food within the body. It also subdues bloating and gas. Thus, aiding in relieve stomach upset. Fennel herbal tea should be consumed at room temperature; you can also add a little sweetener if you like stevia. Chamomile herbal tea known for centuries for its relaxing and soothing properties. It’s an excellent remedy to help with digestion. Chamomile tea contains flavonoids(1) and essential oils. Which relax and smooth the digestive tract muscles. This relieves pain and cramping. Hence, promotes normal peristalsis (the contractions of the intestinal tract that helps the movement food). Another group of compounds is sesquiterpenes that contain anti-inflammatory effects. Which help soothe the irritated lining of the gastrointestinal tract. Thus, reduce the inflammation associated with poor digestion. Use two tsp of powder per cup, and infuse for five to ten minutes covered. Drink the tea while still hot, before all the beneficial essential oils evaporate. Using peppermint for abdominal distress is common. Ever wonder why peppermint candy is provided after dinner? It aids by stimulating the food to pass through quickly and promotes the flow of bile. It seems to calm and help you to relax. Furthermore, peppermint helps kill some kinds of bacteria. By reducing bacteria numbers and moving the meal more quickly. There is less potential for foreign substances to go into the blood stream. Peppermint tea is very good for alleviating symptoms commonly associated with irritable bowel syndrome such as gas, bloating. The peppermint plant is known for its menthol smell and taste. But what you do not know is that the digestive system benefits from menthol. This has an antispasmodic which is a calming effect. The most common way to ingest menthol is by sipping peppermint tea. Amazing Lemon balm is from the mint family. Lemon balm tea can help gastrointestinal problems, such as gas, colic and bloating. It can be useful when treating acid reflux, or GERD. It contains active natural herbal chemicals that act as an antispasmodic. This means that it helps to control spasms in the stomach and intestines. Ginger the super-herb should be the first herb on your natural medicine cabinet list. This is an all around great herbal remedy. That has been recorded as effective in some of the earliest medicinal writings. Among other things Ginger possess incredible digestive health properties. It’s a great treatment and prevention for these digestive conditions for centuries. Nowadays Ginger tea is most often used to treat conditions such as irritable bowel syndrome. This includes relieving symptoms such as nausea, bloating, gas, vomiting, diarrhea, and constipation. Slippery elm is one great herb to make use of. Externally used for burns, skin inflammation, and wounds. Taken internally it forms a mucilage that covers and soothes a sore throat, intestinal inflammation or stomach upset. Reducing the soreness with Leaky Gut is just what we desire. Additionally, it contains antioxidants that can help neutralize free radicals in the bowel. In ancient, marshmallow root help to promote a healthy digestive system. It’s considered as demulcent herb as it is soothing, slippery, and cooling. 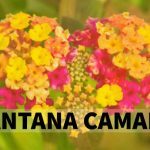 The mucilage content in this plant helps to treat digestive disorders. The mucilage that is contained in marshmallow plant helps to treat digestive conditions. Although, not a common herb, gentian is a very effective herb when it comes to treating bloating and gas. For centuries, gentian root has help support digestive functions. Gentian is among the very bitter herbs. However, its bitter property plays the great role when it comes to treating digestive problems. The bitterness of gentian tea stimulates digestive juices. Hence, supporting digestive system naturally. Drinking gentian tea helps in relieving symptoms of bloating and gas. This dandelion herbal tea is made from the root of dandelion. It’s an effective cure for digestive problems like bloating, gas, and others digestive complaints. The herbal Hibiscus tea is very appealing to the eyes but this is not the only property it possesses. It has compounds such as flavonoids that have effects on the hormone aldosterone(2). This hormone regulates the balance of water and electrolytes. 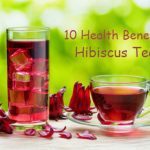 Your tummy will be much less likely to store all those unwanted fluids if you sip on a nice cup of hibiscus tea. Other Herbal Teas for Gas and Bloating. 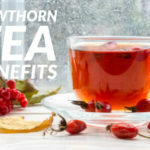 There are thousands of herbal teas with multiple health benefits. 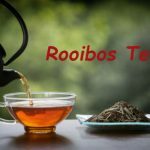 Below you find two more interesting teas which can also help with stomach problems. For example: Anise, Caraway, Coriander, Turmeric. Aloe vera is a useful natural remedy for irritable bowel syndrome. IBS includes symptoms like abdominal pain, bloating, gas, constipation or even diarrhoea. Also, aloe vera possess some beneficial properties that help in relieving fatigue and depression. If you are having problems with frequent gas and bloating, take a tablespoon of apple cider vinegar in water before meals. Use a straw to avoid too much acidity around your tooth enamel. These are the best herbal tea for bloating stomach problems like gas. This can be very frustrating, especially if you are aware of your allergies and diet. By using the strategies explained in this article. You will likely reduce the chances and symptoms of these two irritating medical conditions.